Rick Joshi is a seasoned and reputable mortgage agent in Ontario. With years of extensive industry experience, he has helped numerous families secure the best mortgage rates for homes. Based in Brampton, Joshi is proud to service the community with home appraisals and affordable housing assistance programs. As a city that continues to expand, Bramalea is blanketed by countless homes and residential sub-divisions. The area is also a great place to work and raise a family in. With this in mind, Rick is committed to excellence in helping homeowners find the best mortgage rates. Whether looking to refinance or moving into a new property, one phone call or e-mail is all you need to get the best home services in the area. Joshi specializes in all types of mortgages and affordability services. This includes property appraisals, along with direct purchases, short sales, refinancing and debt consolidation. He also stays abreast of all the latest industry developments and trends. This allows Mr. Joshi to offer timely and real results for new and existing clients. As your premier agent, you are guaranteed fast mortgages at the best rates. 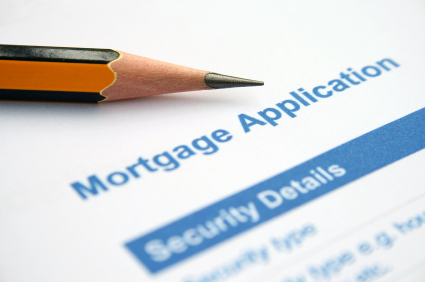 Rick also works with a dedicated group of lenders, financiers, banks, and institutions to help expedite the process. One phone call gets you a complimentary consultation and assessment with one of the top agents in the city. Rick Joshi is synonymous with true professionalism and courteous services. In fact, he goes above and beyond the call of duty to ensure favorable outcomes for all clients. If planning to buy a new home in the Greater Toronto area, you need an expert that can guide you through the loan process. You also need someone that can help you get a timely loan despite your credit history and standing. Joshi also discusses the best ways to pay off your mortgage principal and interest. In fact, he educates and informs clients about the best available options at incredibly low rates. This means you get mortgage affordability based on your existing finances, income and collateral. Rick can develop affordable and convenient monthly payment plans, along with helping you get the right insurance for your home as well. From land transfer tax and CMHC insurance to refinancing and mortgage down payments, Rick offers a myriad of comprehensive services across the board. If you have always dreamt of owning a home, Joshi can truly make that a reality. For more information, simply contact Rick Joshi today and get the professional services you deserve.